If you would like a tour and more information about our property please call (860) 652-7623. For an application, click here. 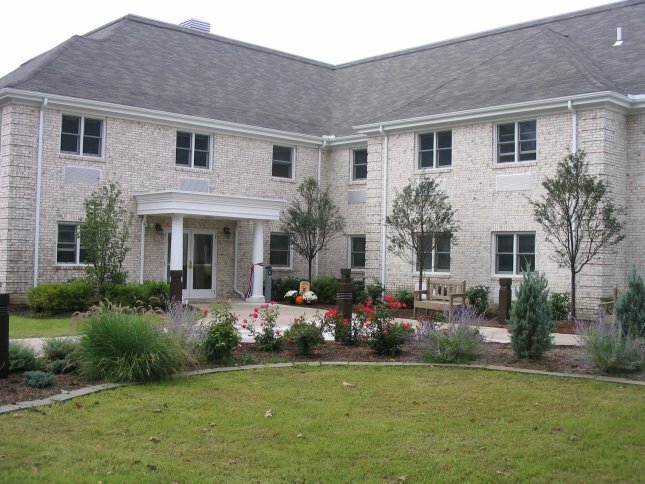 Herbert T. Clark Assisted Living - Located next to Herbert T. Clark House, this facility provides 25 apartments and affordable assisted living care for senior citizens needing assistance with activities for daily living (ADL). Scheduled transportation service for personal shopping, social and recreations events, health care appointments and similar needs. Comfortable Living Space - Amenities include formal dining, lounge, recreation room, library and salon. Each apartment is has a kitchen with a microwave and refrigerator. All apartments have bathrooms with either a tub or roll-in shower. This beautiful community includes full landscaping around a serpentine walking path. This walking path will provide hours of leisure enjoyment to all residents. A local garden club of Glastonbury, Hill and Dale Garden Club, designed the gardens at the entrance of the community. Floor plans of the units can be found here. Eligibility is based on income, up to 60% of the area median income. Income limits can be found here. Assisted living services are provided through the Connecticut Home Care Program for Elders (CHCPE), for which prospective residents must qualify or be eligible for spend down. Admission Procedures: - Applicant must complete an application and be eligible for the the Low-Income Housing Tax Credit (LIHTC) program. Applicants should also be eligible for the CHCPE program; if they are not they can be admitted, provided that upon spending down their assets they apply and are accepted on the program. Each applicant will have a personal interview, including an assessment with the assisted living nurse, and a geriatric assessment completed by a clinician and physician team to assure appropriate and optimal transition to this community. More information on admissions can be found here.